Lucy A. Pappalardo, 95, of Lawrence, passed away October 21, 2018 surrounded by her loving family. 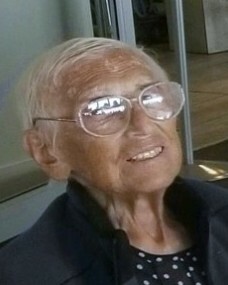 She was born in Lawrence on April 26, 1923 and was the daughter of Alfio and Maria (Dovi) Pappalardo. Lucy attended Holy Rosary Grammar School and was a graduate of Lawrence High School. She worked as a stitcher at Grieco Brothers for over fifty years while also working at the family bakery known as Pappy’s. She loved spending time with her family and was dedicated to creating lasting memories. She enjoyed spending time with her siblings, nieces, nephews, and later on her great-grand nieces/nephews. Lucy’s love of sitting in the sun was a passion of hers. She enjoyed traveling taking many trips with members of her family. She was also a member of St. Rita Sodality. Her caring disposition and desire to help others was evident in everything she did. She will be deeply missed by everyone whose lives she touched. She was predeceased by her siblings, Domenic Pappalardo, Frances Torrisi, Antonio Pappalardo, Josephine Carsanaro, Salvatore Pappalardo, and Edward Pappalardo. Lucy is survived by her brother, Gaetano Pappalardo of Lawrence; sisters, Rose Rignoli of Salisbury, Grace Sinibaldi of Plaistow, NH, and Margaret Ragonese of Raymond, NH. She is also survived by a large number of nieces, nephews, cousins and extended family who were an important part of her daily life. In lieu of flowers, donations in Lucy’s memory may be made to the St. Jude Children’s Research Hospital, 501 St. Jude Place, Memphis, TN 38105 or Dana-Farber Cancer Institue, 10 Brookline Place West, Floor 6, Boston, MA 02445-9924. At the request of the family all services are private.